We, all need some sun exposure. When skin is exposed to the sun, our body gets vitamin D, which helps the body to absorb calcium for stronger and healthier bones. 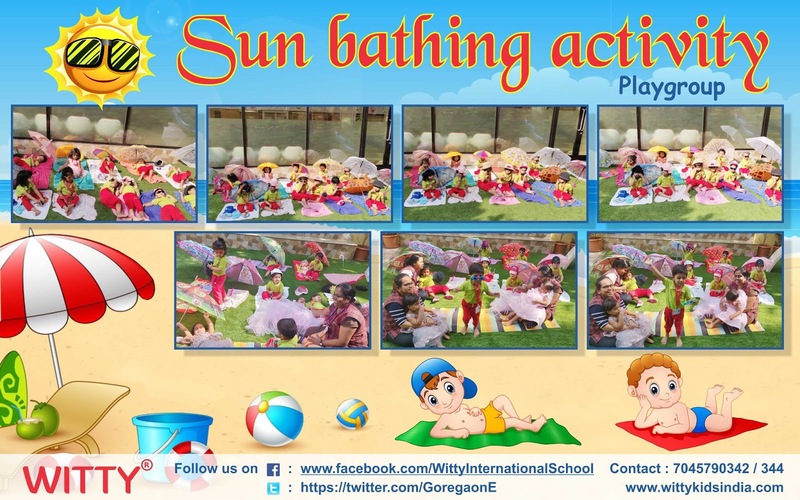 To reinforce this the little ones of Playgroup section had a ‘Sun bathing’ activity on Monday, 26th November 2018, at Witty World Goregaon East. 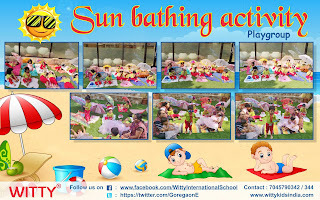 Children enjoyed a pretend play of relaxing by the beach side wearing sunglasses and hats under the colourful umbrellas. Teacher and children had an informal conversation about the beach scene as well as sang rhymes related to the sun. Indeed it was a fun-filled day with lots of learning experiences.